Extension 30th April Challenge VI: "The End"
Challenge V results are in. Winning guild by 1 gold... AVALONIA! Avalonia- ZCerberus by 1 point, but because he slept with a judge, he was DQed from winning an individual prize this round and the Orc will go to the very deserving rogueang. Prelude to Challenge V is up! Challenge IV - "Elemental Mayhem" has been announced! 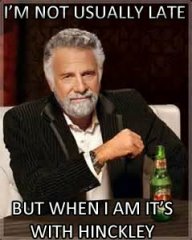 Challenge ends on August 5th, 2012. 1st Prize 10223 Kingdoms Joust! The crystal must be guarded by some sort of guardian or trap, and a heavy emphasis on thematic building is encouraged. (For example if you are building an ancient tomb, undead may guard the treasure, and if you are building a jungle locale, natives/wild animals may be the guardians)Guardians may be dispersed throughout the location, or only appear in the treasure chamber. Anything can be a guardian; from people, to magical beings to mechanized sentinels. 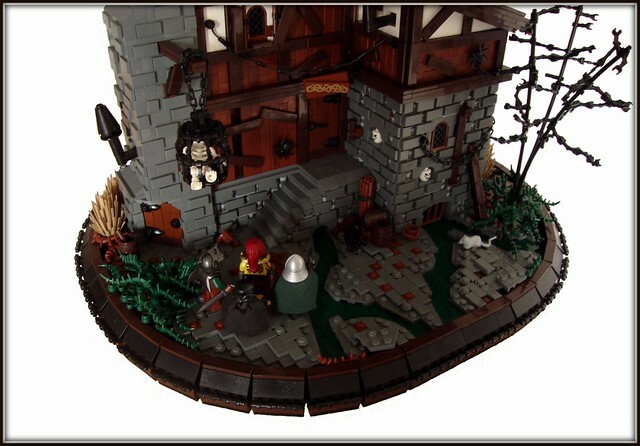 •	No size limit: Build as big or small as you wish, points won’t be based on size, but on quality, detail and imagination. •	Build must be an ancient site, may be set indoors, outdoors, in any climate and environment. 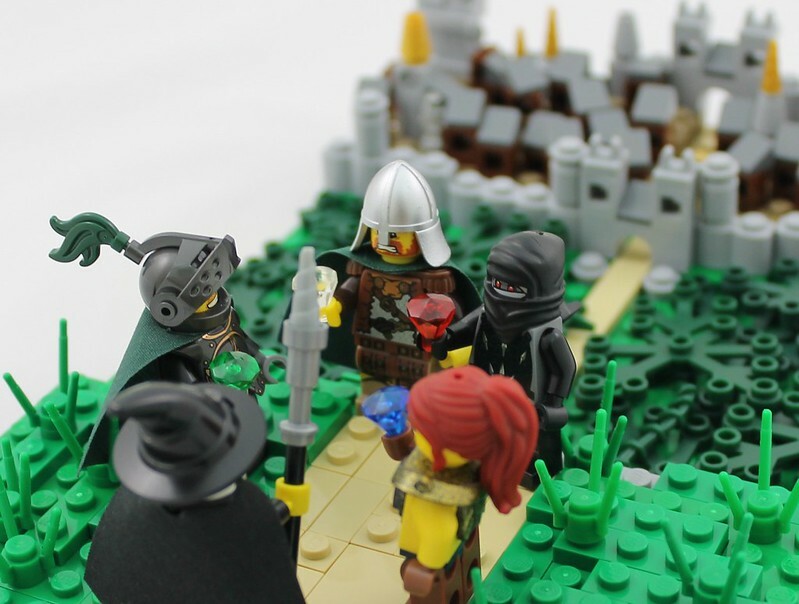 •	Build must contain the correct crystal/gem piece for your Guild as a treasure: If you haven't already joined a guild, you must do so with a picture of your character and elite troops as detailed in the first post of each guild. 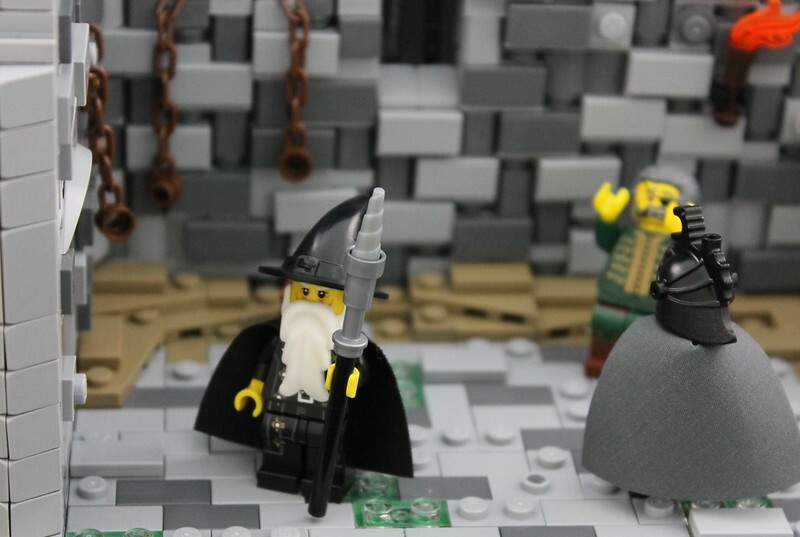 There are two months to build for this round, (Due date April 28th, 2012) and we are raising the bar of expectations yet again, so take your time and build quality MOC's! We will be looking for details, imagination, building techniques and good presentation. Let's find these crystals so that we may unlock the greatest treasure in all of Historica! Challenge 1: (All Along the Watchtower) Build a watchtower to defend your realm. 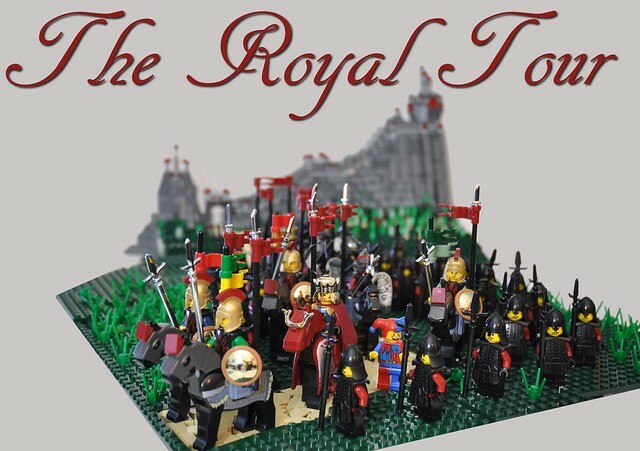 Build a tower of power for your troops to defend a corner of your realm, We are looking for a small fortification on no larger than 32x32, let you imagination run wild as to how best defend the land, towers, treehouses, shanty barriers, rock slide etc, knock yourself out. The five best from each guild as decided by the guild will earn bonus points, bragging rights, possibly new titles and tags as well! 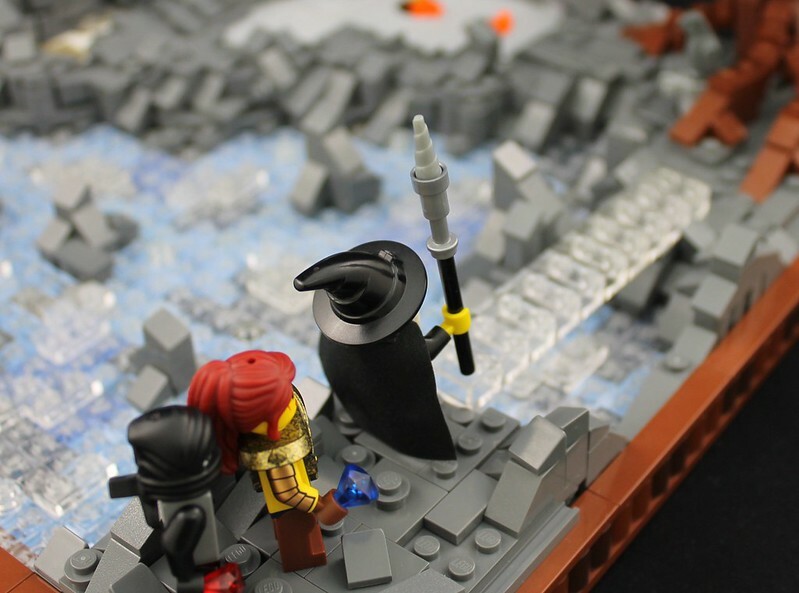 All guild members are encouraged to take part in the build categories. Points will be earned for participation, but don't rush, you will have a month to complete the first task. 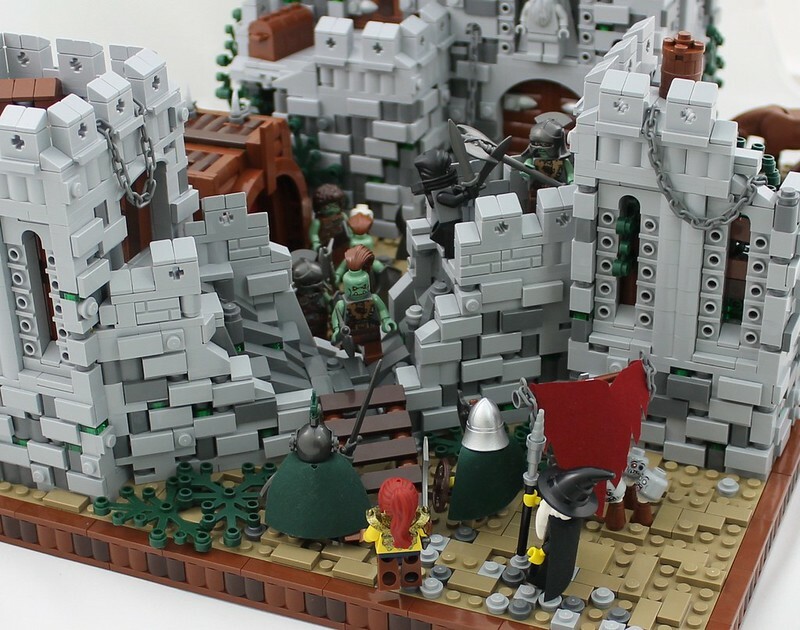 You may post WIP shots as well in your guild thread to gain assistance, but all completed MOCs should be posted in their own topic with the Guild name in the description and the guild standard in the MOC as well to classify as a Guild build. Category 2: Embassy. Build an embassy in enemy territory. Knock yourself out, it can be a point of trading if so desired, but preferably a fortified structure to allow protection for its homeland residents. Make it interesting how your style of guild dwelling integrates into another lands unique flora and fauna. Will a Nocturnus embassy be polluting a pure environment? Will their be mystical snow fall in the desert? Trees growing where they shouldn't? desert in amonsgt a swamp? See how you go! The five best from each guild as decided by the guild leader will earn bonus points, bragging rights, possibly new titles and tags as well, did I mention prizes! Points will be earned for participation, but don't rush, you will have a month to complete the second task. 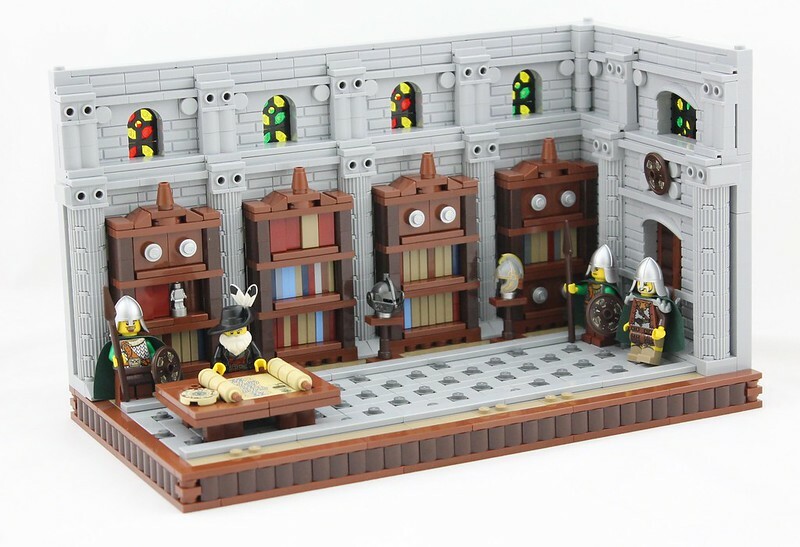 You may post WIP shots as well in your guild thread to gain assistance, but all completed MOCs should be posted in their own topic with the Guild name in the description and the guild standard in the MOC as well to classify as a Guild build. Indexing will be done in this topic. And so it was that the four Great Guilds of Historica reinforced the bonds between them with masterful diplomacy. 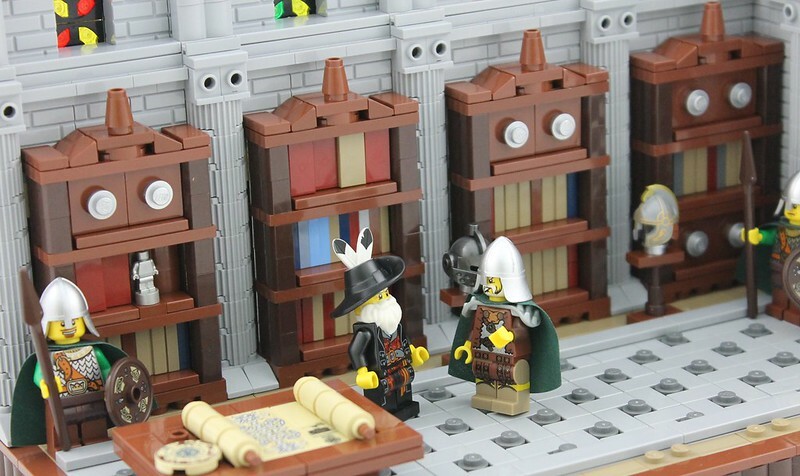 Pleased with the newly-established era of unity, the High King Draconius has decided to tour the realm of Historica, so that he may survey all the newly-built embassies and note-worthy sights first-hand, and reward all those whose efforts had helped insure the peace. From the Capital Stronghold of Cedrica, the High King, his entourage and armed guard shall make their way to each of the four realms of Historica. Thus the King has sent messengers to every Guild, decreeing they must prepare their land for his arrival. “It is a time of peace and prosperity” the King has announced; and all in Historica will be well advised to remember it. 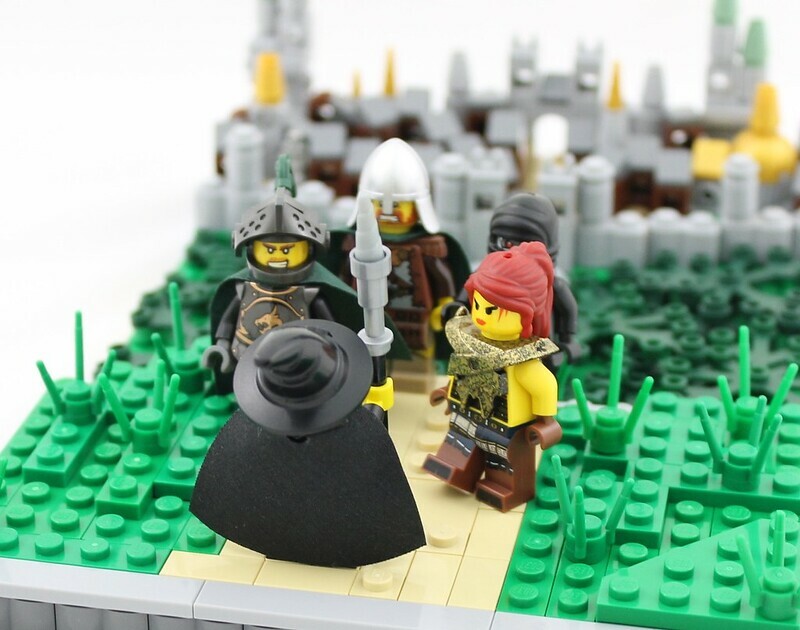 The land of Historica is enjoying a time of peace and prosperity! New Embassies and fortifications have been built throughout the land and the High King can finally rest at ease, knowing his reign is at an all time high. He knows that under his rule, Historica has indeed become a mighty realm. Now all it needs is something that will boost that claim-will; a talisman, something unique and special, that could become a true symbol of all that is just and good about Historica. There is no shortage of Legends about treasure in Historica, and the High King has been showing an increased interest in whether or not there is really any truth behind the tales. One legend, in particular, has really caught his attention. 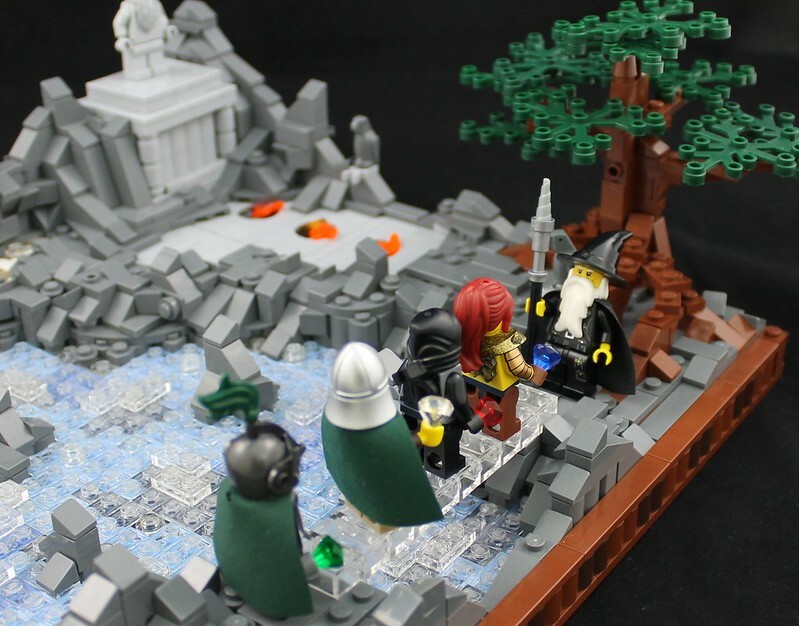 All children of Historica grow up with The Tale of the Lost Shrine Of The Druids. It is a tale about the first settlers of this mighty land; a powerful race of Druids who lived in harmony and were as one with the land. It is said that they built a sacred shrine, and within its walls they placed 'The Soul Of Historica'. This treasure is said to contain the power of the four Elder Druids who sacrificed their lives so that the land would forever be blessed. It is indeed, a treasure of extreme importance and power. People have been searching for this treasure for centuries, but to no avail. Presently, the story is accepted as nothing more than a legend. But is it indeed just a legend? That's something which the High King is determined to find out. Four warriors, one from each corner of Historica, have been assigned the task of tracking down a retired Historian; the only man in the Kingdom who may know the answer. Owain: "You sure this is the place?" Kathyrin: "Why?" "Doubting my skills are you now?" she grinned. Owain: "But look at it!" "Dark and dirty and falling to pieces, who lives like this?!" Kahzoul: "Oh I am sorry, would you prefer it if we planted some lush green trees? Perhaps a nice row of flowers along the front, yes?" he asked sarcastically. He lowered his tone, "Fool, your not in Avalonia anymore!" Owain: "Mores the pity" he grumbled. The group took a moment to gaze upon their destination. Could the answer to the most sacred of treasures really be found in such a place? Ragnar: "Enough time wasting, lets just do what we came here for and head back" he growled. Kathyrin: "Agreed, after all, we are being watched." Owain: "Watched?" he shouted. "By whom?" Kahzoul: "Drow spies of course." he said casually. "They've been watching us ever since we set foot into Nocturnus." He seemed to find the situation amusing. Kathyrin: "Then they know why we're here?" "They know of the Shrine and the Historian?" Kahzoul: "Oh yes, they know alright." he smiled. 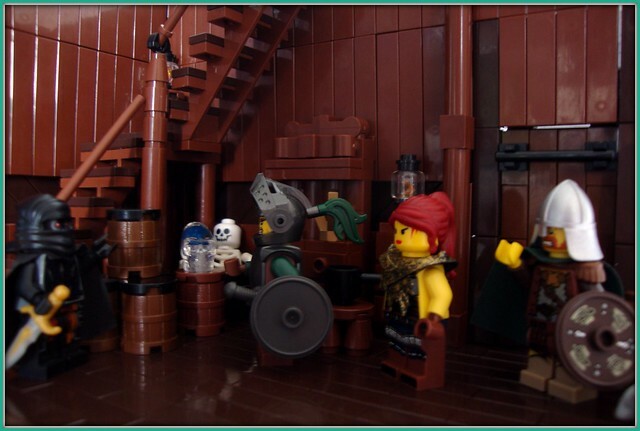 Ragnar: "If they know" he snarled, "then why haven't they already taken the Historian, learned his secrets and gone ofter the Shrine themselves?" Kahzoul: "That's not their style." he said with a grin. "They find it far more fun to let us do all the hard work and find the treasure, then they can just come and take it from under our nose!" Owain: "Not on my watch!" he roared. Owain stepped out from the group, drew his sword and looked out towards the gloomy land of Nocturnus. "COME OUT YOU COWARDS!" he shouted. "COME OUT AND FIGHT!" He unbuckled the straps of his shield and threw it to the ground. "I'll MAKE IT EASY FOR YOU, NO SHIELD, ONE HAND BEHIND MY BACK!.....COME OUT AND FIGHT!" His shouts were greeted with nothing but silence. He spat on the floor in disgust, picked up his shield then turned to walk back to the others. Kahzoul: "What a fine display." he mocked, clapping his hands. Rangnar: "And what did that achieve?" Owain: "Look, if they are out there, then at least they know that Avalonia is not afraid of a fight!" Ragnar: "Nor is Mitgardia!" he stroked his hand across the blade of his axe. "And you would do well to remember that!" he said said dangerously. Owain: "I'd end your life before you had time to swing that hedge cutter!" Kathyrin: "I'll cut both your throats right now if you two don't pack it in!" she shouted, then smiled. "Come on, lets get this over with." The group made they way to the main door. The stench of the overflowing sewers wasn't making this task any easier, but they knew they would soon be on their way home. Owain: "Right, I'll break down the door." Kathyrin: "No!" she said shocked. "We're not thieves, we knock." Owain looked bemused. 'Just kick the door in' he thought to himself, but nodded at Kathyrin, who went ahead and knocked. And so they waited, and waited........and waited! Owain: "What a surprise!".... "So now we kick the door down right?" Karzoul: "Leave it to me, amateurs." he hissed. He made his way to the door, placed his hands on the lock and within a flash the door swung open. Owain: "How did you do that?" he asked confused. Karzoul: "Oh please, picking locks is child's play, we Nocturnian's know how to pick a lock from the day we can first stand!" "Not to mention a wealth of other tricks!" he boasted. Kathyrin: "Lock picking?" she raised an eyebrow. "Whats that for then, thieving?" Karzoul: "No...well, not as such" he grinned. Owain: "More likely for when the imbeciles manage to lock themselves out their houses on a daily basis!" he chuckled. Karzoul: "I'll ignore that comment Owain, besides, the door's open, so lets go." Into the building they went, glad to be away from the harsh eyes of the watching Drow. Now to speak to this Historian! Ragnar: "Strange place this." he looked around the lower floor, scouting for anything that may be threat. "Shall I stand and guard the door?" he snarled. Karzoul: "No need, like I said, the Drow won't make a move yet." he spoke with a confidence that washed onto the others. Kathyrin: "I guess your right, they wouldn't stand a chance anyways!" Karzoul rolled his eyes and carried on searching the lower floor with the others. Owain decided to have a look around as well, until something caught his eye. Owain: "Look at all those barrels of Mead!" he cried, "and they're full too, I knew this would be a worthwhile journey!" He raced over to the barrels. Owain: "Perfect, now lets see, six full barrels....So, we're gonna need to find some sort of wagon to get these back to mine and..."
Ragnar: "Oi" he interrupted. "If anyone's having those barrels of Mead, its gonna be me!" "Besides, I don't need a wagon, I'll just carry them on my back like a real man!" he grinned. Owain: "That's stealing!" he said. Ragnar: "What?" he asked confused. "What's the difference with you taking them then?" Owain: "I'm borrowing", he said with a smirk, "borrowing." Kathyrin: "No one is stealing or borrowing anything." She spoke with a half smile while flicking her dagger in the air. Owain: "Come on Kath, its a long journey back home you know!" Ragnar: "Aye, journey goes a lot quicker with a barrel of Mead!" Kathyrin: "Must I remind you two that we are on a mission for the High King? We are here in the hope that this Historian will give us some information regarding the Lost Shrine! 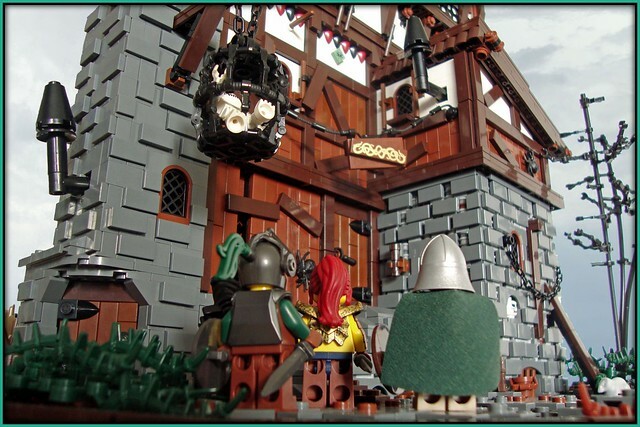 Not only have we already broken into his house, now you want to take his supply of Mead as well?...What next?" she grinned, "I wouldn't tell us anything if I were him!" Karzoul: "Hey, over here." he called the other three over and nodded towards the staircase. "Up the stairs, I hear movement coming from one of the rooms, that's probably our guy!" Sure enough, the sound of somebody moving could be heard coming from the upper floor. They made their way up the stairs and pushed open the door. Someone was sitting at a table at the far end of the room. They had found the Historian. Historian: "Ahhh, I've been expecting you." Owain: "Expecting us?" he gasped. "Did you not hear us knocking? Four bloody hours we were waiting out there, FOUR!" Kathyrin: "Oh shut up Owain!" she snapped. She turned towards the Historian. "I must apologize for his rudeness Mr...."
Victor: "Revolword, Victor Revolword" he smiled, "And don't worry about that business with the door; yes I heard your knocking, but you can't be too careful round here, likely to get dragged outside and robbed if you answer your door in this hamlet." Kathyrin: "Well its good to know we have found you safe and sound." she smiled. "There's a matter we really could do with you expertise on, lets just say its historic." she smiled. Victor: "Well you have come to the right place, but first let me get you all a drink, you must be thirsty?" he asked. 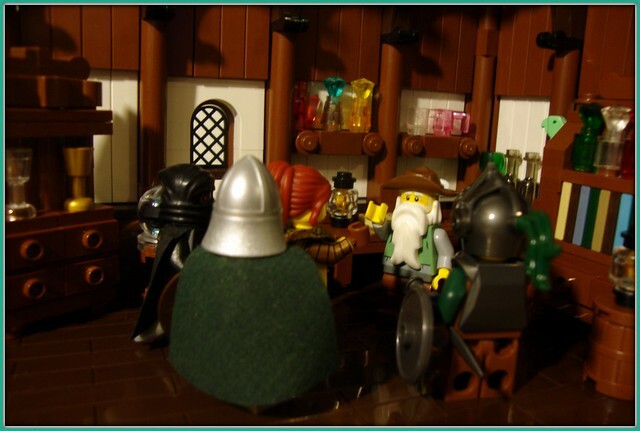 "I have some very fine Mead downstairs, I'll go and fetch some for you all" he offered. Owain: "Its ok, I know where it is, I'll get it." Victor: "Oh...ok...splendid. Yes, that's very kind of you Sir"
Owain bounded off downstairs and appeared again ten minutes later. He had managed to haul and struggle a whole barrel of mead to the top. He stood exhausted, but looking very pleased with himself. Kathyrin: "What are you doing?" she asked shocked. "You only had to fetch one beaker each!" she rolled her eyes shaking her head. Ragnar: "You did well lad!" The two of them stood there grinning, while Victor poured them all a drink. He seemed oblivious to what Owain had done. Victor: "Right then, what is it that I can help you with?" Kathyrin: "We need some information on a shrine; if it exists and where it can be found." Victor: "There are plenty of old ruined shrines in Historica, are you looking for one in particular?" he asked. 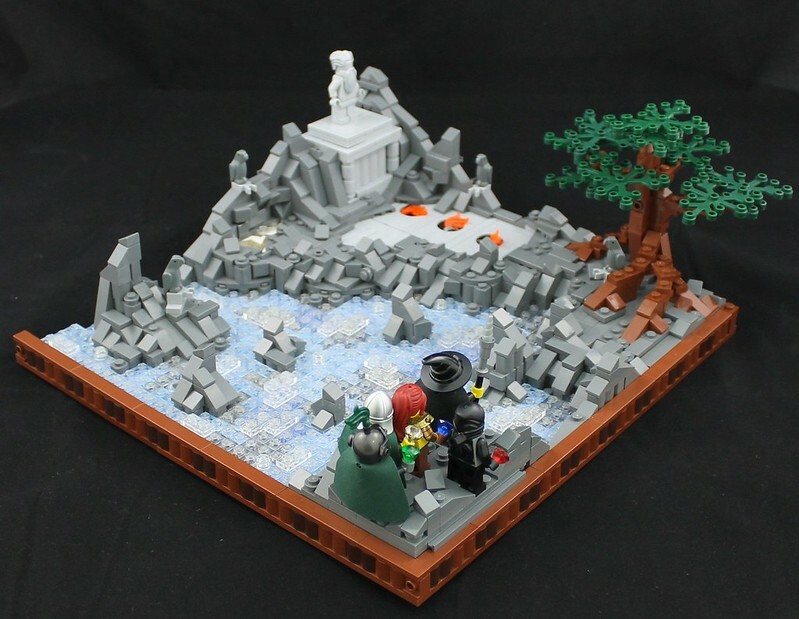 Kathyrin: "The lost Shrine of the Druids." she watched for Victor's reaction. Victor: "Ah yes, but of course." he calmly leaned back in his chair then looked up at them. "You're treasure hunters then?" Kathyrin: "Not as such, the High King has shown an interest in the Shrine and would like to know whether it really exists?" Victor: "Of course it does" he chuckled. "Legends don't just appear, they may grow and be exaggerated over the years, but they are all based on real events." he looked carefully at the group. "Yes it does exist, and it contains the greatest treasure in all of Historica. I have devoted a large part of my life to finding it, and through that journey I have learned much." Owain: "Ok....So where is it, how do we get there?" Victor: "I'm afraid its not that simple, you can't find the shrine until you have the keys." Victor: "The keys open the shrine, and its the keys that, when found, reveal its location." he gave a sly smile. "So you can't find the shrine or open its door without the keys." Ragnar: "Right then, so we need these "keys", fair enough." he scratched his beard and looked at Victor. "So where do we find them?" Victor: "For years men have been searching, but nothing has ever been found. Why do you think that could be?" Owain: "Because they've rusted away!Or better still, maybe they never existed at all!" he scorned, then got up and drowned another beaker of Mead. Karzoul: "Perhaps...I've encountered most of Historica's sacred items on my travels, but never a Shrine key; I'm afraid that they may be lost forever. Or..."
Kathyrin: "Or maybe they aren't keys in the conventional sense?" Victor: "Exactly my dear, the keys to the Shrine are not keys in the conventional sense, but something else entirely." Kathyrin: "What exactly are they?" she asked. Victor: "Crystals. Four Elemental Crystals; one for each of the ancient elements." Karzoul: "Earth, Air, Fire and Water...?" Victor: "That's correct, and when they are all found and brought together, they will reveal the location of the shrine." Owain: "Crystals eh?" a look of interest crossed his face. "I bet they're worth a fair price?" Kathyrin: "Don't even think it Owain!" she snapped. Owain: "I know, I know, just jesting" he smiled. Kathyrin: "Now then Victor, how exactly do these Crystals show the location of the Shrine?" Victor: "On each Crystal there is an inscription that explains where the shrine is located, but this inscription does not become visible unless all four are brought together." Kathyrin: "I see; so once we find them, how do we open the door of the Shrine?" Victor: "According to an old manuscript I found, the Keys are placed in some sort of device, and their power unseals the door." Ragnar: "Now we're getting somewhere!" he said excitedly. Karzoul: "Well that explains why no one has ever found the keys, they've all been searching for the wrong thing." he smiled with amusement. Owain: "Its just like what I've been saying all along" he proclaimed. Kathyrin: "So, its just the location of these Crystals then, have you discovered any information on their whereabouts?" Victor: "I'm afraid I do not know their exact locations, but I do know that they were hidden in each corner of Historica. The Earth Crystal is hidden in Avalonia, the Air Crystal can be found in Mitgardia, the Fire Crystal lies in the land of Nocturnus and the Water Crystal rests somewhere in Kaliphiln." Owain: "Great, well that narrows it down, so somewhere in each land of Historica, there lies a Crystal hidden! All we need to do is spend the rest of our lives searching every inch of each land trying to find them!" he sighed and slumped down in a chair. Kathyrin: "That's all the information we needed!" she exclaimed. "We now know the shrine and keys exist, we know that one is hidden in each realm, and we know what they do and how to use them! That's more than enough!" Owain: "Yes but there's still the burden of trying to find them, it would be never ending!" Kathyrin: "Not if the whole of Historica is looking for them! We'll find them!" she said enthusiastically. Owain: "I'm sure your right." Kathyrin: "Victor, if you knew all of this, why haven't you tried looking for them?" Victor: "Ah therein lies the problem; you see, only a Mitgardian can find the Crystal in Mitgardia, just as only an Avalonian can find the Crystal in Avalonia.The same is true for every land, and alas it's one of the reasons I never bothered looking for them myself." he chuckled. Kathyrin: "Thank you Victor, your information and help have been invaluable; we're in your debt. Is there anything we can do for you in return?" Victor: "I just want to see the Shrine finally discovered, that's all." he smiled. Kathyrin: "You shall see that happen, I promise! Its time for us to leave, there's lots to be done." The group stood and said farewell to Victor. He seemed excited at the prospect of the Shrine finally being discovered, but why wouldn't he, after all, its the Shrine of Legend that countless men have searched for all their lives. The group headed outside into the darkness of night. Owain and Ragnar fetched the horses, then they all gazed out into the darkness. Owain: "Whats our move now?" Kathyrin: "We each head back to our leaders, report everything we have just heard and then, I expect, they will speak to the High King. A plan will likely be put into action to find the Crystals." Ragnar: "So this is where we part ways then?" Kathyrin: "Yes, we have done our part, whatever happens next is up to our leaders and the High King to decide." Owain: "Fine with me, I just want to get back to Avalonia; its a long journey." he said with a sigh. Karzoul: "Yes, I do feel for you guys." he grinned. "I expect I will be home in under an hour!" Owain: "Yes, but then you've got to mess around trying to pick the lock to get in!" he laughed. The group smiled and said farewell to one another. They were going home, successful in their mission and excited to finally be able to set foot back in their beloved lands after so long away. So the stories were true. The shrine did exist and so too did the mysterious treasure hidden inside. 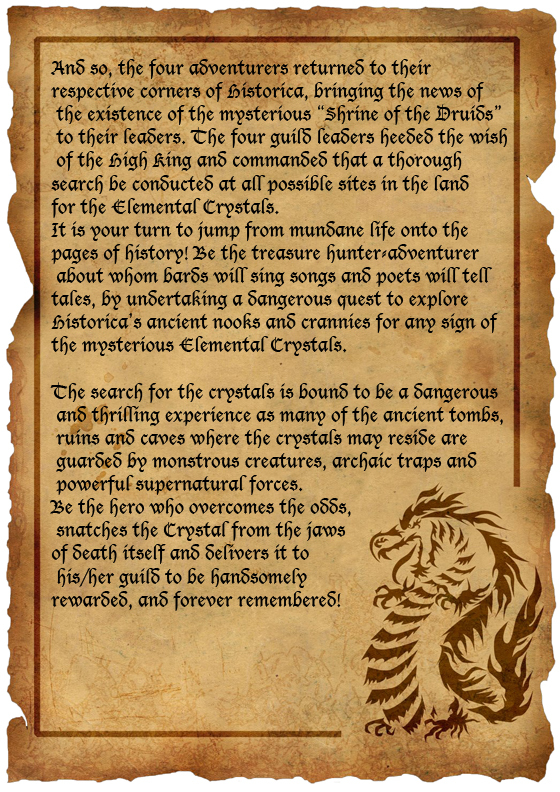 But before this treasure could be found, four Crystals must be located; and that will be no easy task. Objects of such great importance are bound to be hidden well, in treacherous places; bound to be guarded by all manner of unspeakable creatures and traps. One thing is for certain; they must be found! For the glory of the High King, and for the people and legacy of Historica! 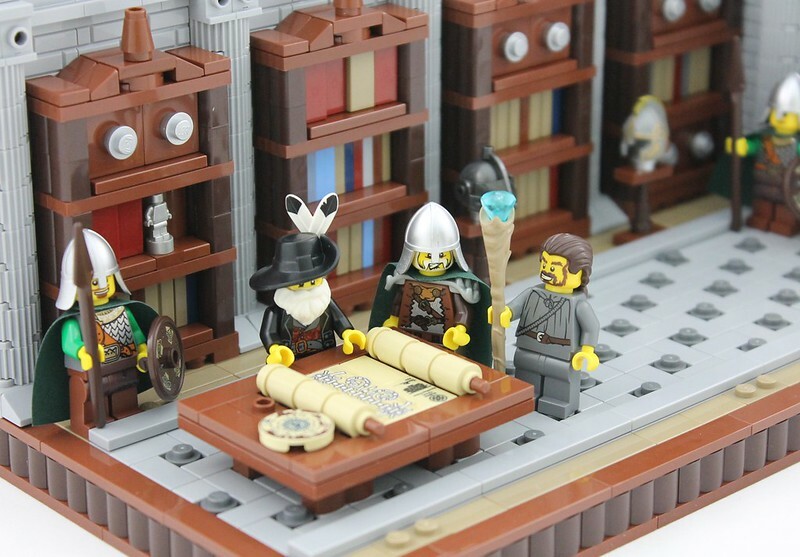 Friends, AFOL's, Guild Members of Historica, lend us your ears! In this round our great lands came together in diplomacy and forged strong relations in the spheres of trade, knowledge, and culture! We had a lot of amazing entrees and as you can tell, judging was a long and thorough process, as each and every entry was considered and given a fair chance at being the best in it's Guild. With so many great models, it was difficult to choose the top ones. 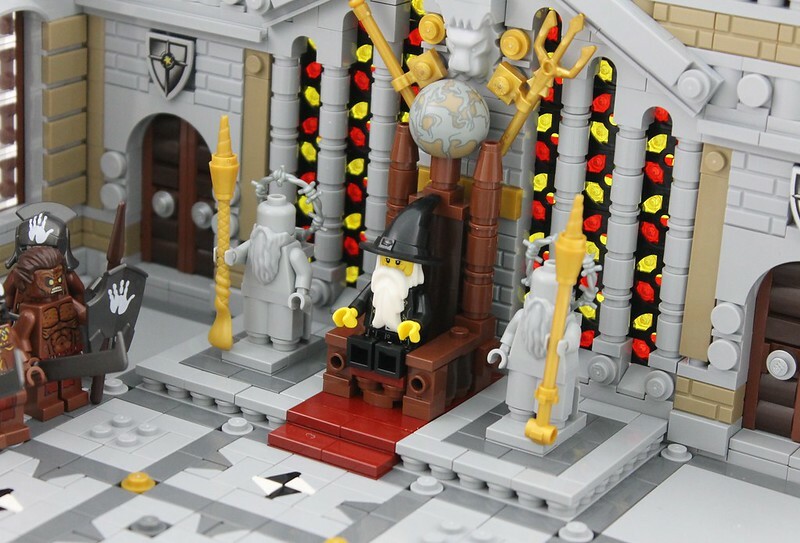 We now present you with the highest rated MOC's from each guild, as well as the overall top scoring Guild, both in terms of entrees submitted, and quality of said entrees. The winning guild for Round 2 is therefore: AVALONIA! 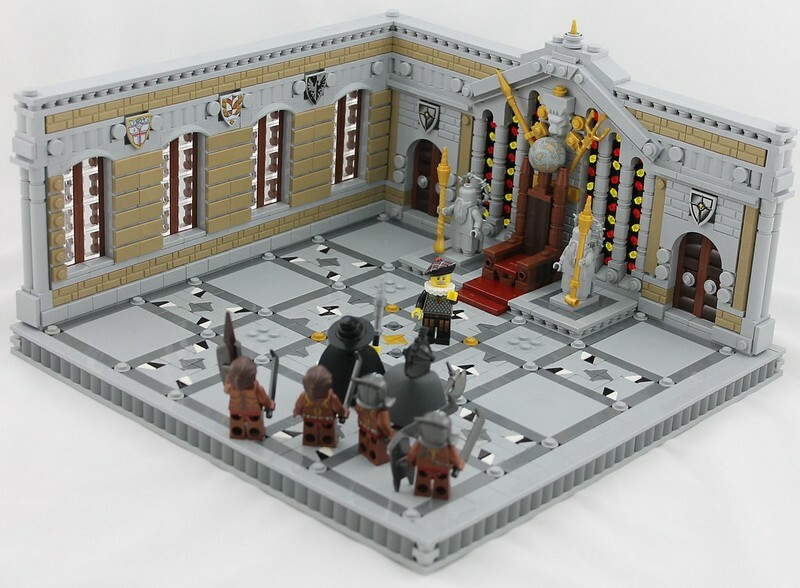 These winners, as well as the Winners from Challenge One can expect to receive custom prizes designed and produced for Guilds of Historic exclusively. Details on these prizes will be released soon, but trust us when we say, they are well worth the wait. Congratulations to the winners, and a big thank you to all who participated! Stay tuned for the official announcement for Challenge 3! 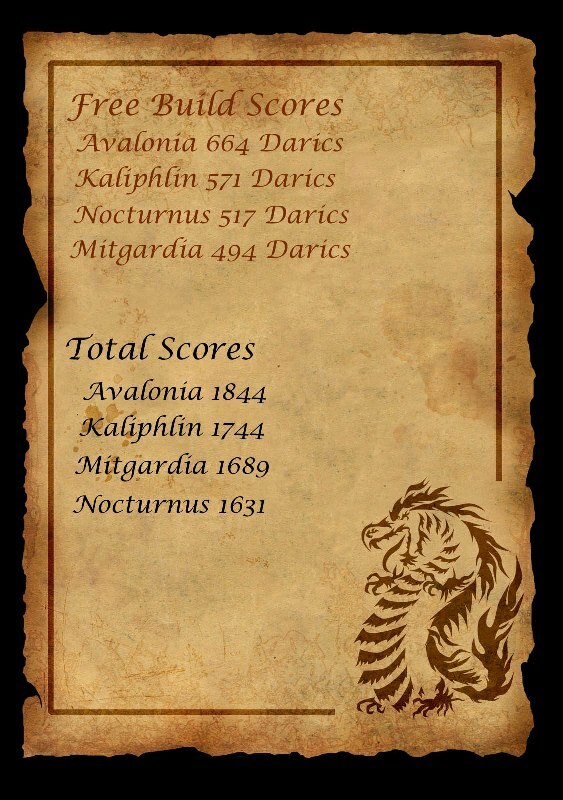 Presenting the free build scores and running tallies for Guilds of Historica. Due to the scale and complexity of Challenge 3, and the great number of builders who need more time to finish their entrees, we are officially extending the deadline for Challenge 3 by 2 weeks. This is a one-time only extension that we give because we want to see everyone at their best. If you have already submitted, take this as an opportunity to refine your design, or focus on free builds instead; the choice is yours! The new deadline is now May 12th 2012. Round 3 building time has now finished. Your guild leaders will compile the entries soon for a public vote and Guild leader scoring as well. Stay tuned. And so it was that through all the efforts and and hard work of it's citizens, Historica recovered the lost Elemental Crystals. 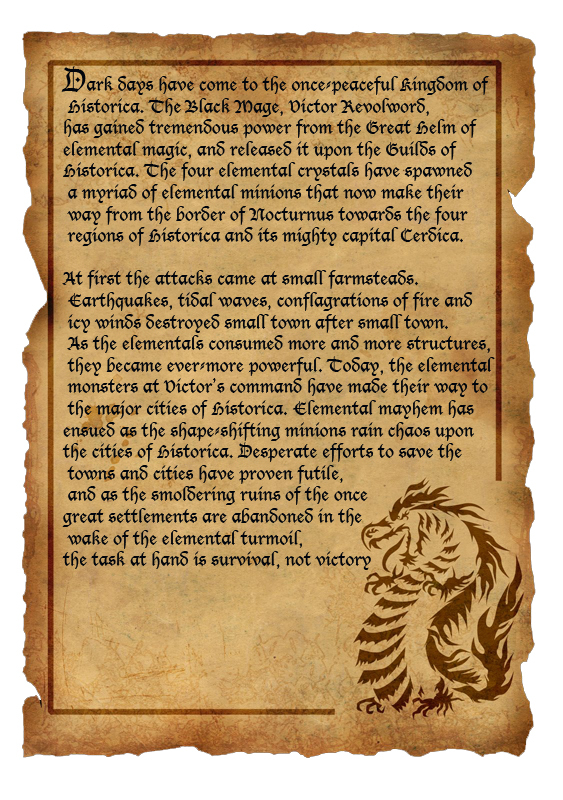 Upon hearing that all four crystals had been found, the Historican Victor Revolword sent the following letter to each of the four Mighty Guilds of Historica. and Kahzoul 'The Reaper', of Nocturnus to meet me in five days time at high noon on the outskirts of Cerdica. Each adventurer should bring their guild's crystal so that we together may locate and open the shrine. I must insist that those four be sent, as I trust no one else with a task as important as this. I cannot say more as I fear this letter may be intercepted. And so it is five days later, and the sun is high in the sky as the four adventurers meet on the hill overlooking the capital. Owain: "Hello friends, it has been too long!You stil alive Kahzoul? I wasnt sure if you'd make it given how unsafe Nocturnus is these days." Kahzoul: "Nocturnus? I wouldn't talk, considering the mess the drow have created in your lush homeland! Those little buggers pop out of every hole; they're like vermin I tell you! Soon they'll be all over!" Ragnar: "Ha...I'd like to see them things try and burrow under Mitgardia's frozen tundra and solid granite mountains! The Drow will never make it in Mitgardia, I can assure you... Kathyrin, how are things in Kaliphlin?" Kathyrin: "I can't complain. It's been a tough few months; overturning every stone in the desert in search for a water crystal sure wears down on you. I'm eager to see what Victor has found out!" Ragnar: "Here he comes now!" Victor: "Ah, there you are, the four great heroes from the four great guilds! Forgive the sudden and mysterious circumstances of my summons, but I have made a discovery that no one is aware of! The exact location of the shrine was made clear to me, and the crystals woill likely confirm it!" Owain: "Victor,all of Historica was out and about looking for secret shrines and burial sites; how have they not found it? I'm starting to think it may not be in Historica at all!" Victor: "Ah, and therein lies the exciting part of the discovery! It is in Historica! It's been under our noses our entire time! Tell me, what have you heard about the Knights of Cadarn?" Kathyrin: "They were an ancient order of knights, in the days before the Guilds. They were hailed as brave warriors and ruthless fighters." Victor: "Correct, but do you know what their specialty was?" Owain: "If they were anything like modern knight's I'd put my money on drinking and/or brawling." Victor: "No, they were expert Mage hunters! They believed in the Chivalry and words of spiritual leaders and sought to root out magic from the world. They did not succeed, but they recorded their exploits and projects very thoroughly!I stumbled upon a History of the Knights of Cadarn, and after a few chapters found an interesting description of a shrine, very much like the one we're looking for! 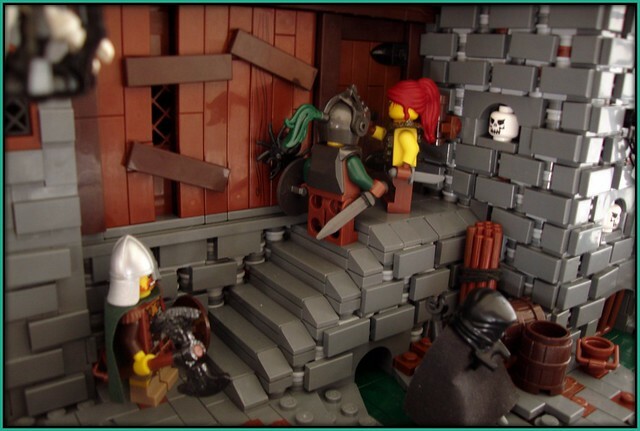 It was taken over by the Knights, who drove away the Druids and sealed the entrance. To make sure no one would ever find it they built a fortress on top of the it! The Fortress of Mizia!" Ragnar: "So all we need to do is find the fortress ruins?" Victor: "I looked for its location, and after countless hours of research realized that it was still standing! After nearly one thousand years, the fortress was still very much intact!It is not called Mizia anymore, it's an occupied ruin; in the on the West border of Nocturnus!" Kahzoul: "Occupied? Occupied by who?" 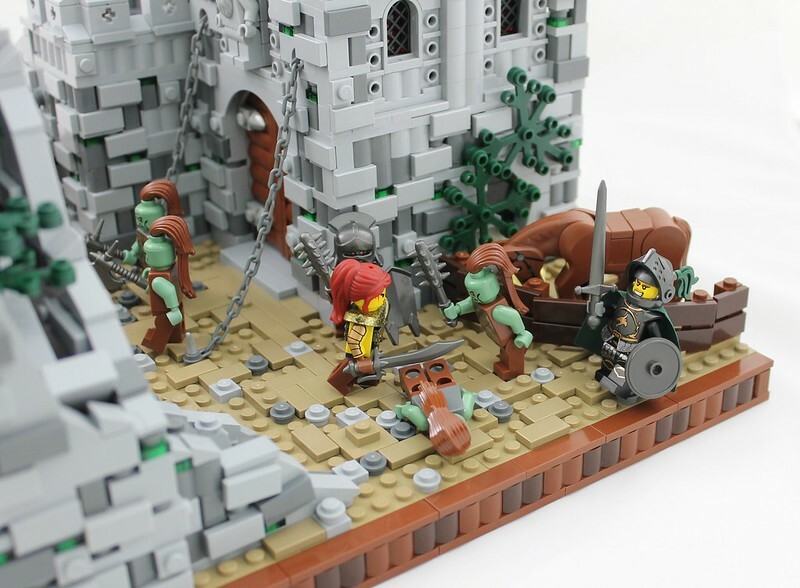 Victor: "A blood-thirsty Orc tribe, no less! Travelers won't come near it, and that is why I need you. 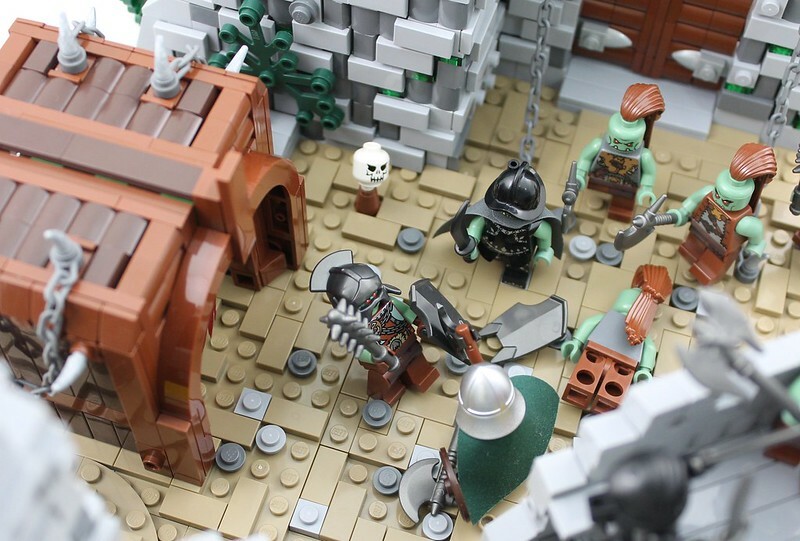 These Orcs are man-eaters, not the civilized Orcs you're used to in your cities. They will attack us if we approach, so we must be ready for a fight. I am just an old man, but with your four's skill, I believe we can make our way through the fortress and into the shrine! But I must confirm it, please take out the crystals." The adventurers do; as the crystals approach each other they start to glow. Victor: "Quickly now... Yes yes, let us see... Aha it is exactly as I thought! The crystals point East! We are headed towards the fortress then!" Owain: "Do you know what we'll find in the Shrine Victor?" Vicrtor: "If I knew I wouldn't be going along on this journey with you! I'm sure the King will be very pleased with whatever treasures we find. Now let us depart..."
The adventurers and Victor travel for 3 days and 3 nights and arrive at an impressive sight; a run-down archaic fortress that oozes a chilly magical tingling. 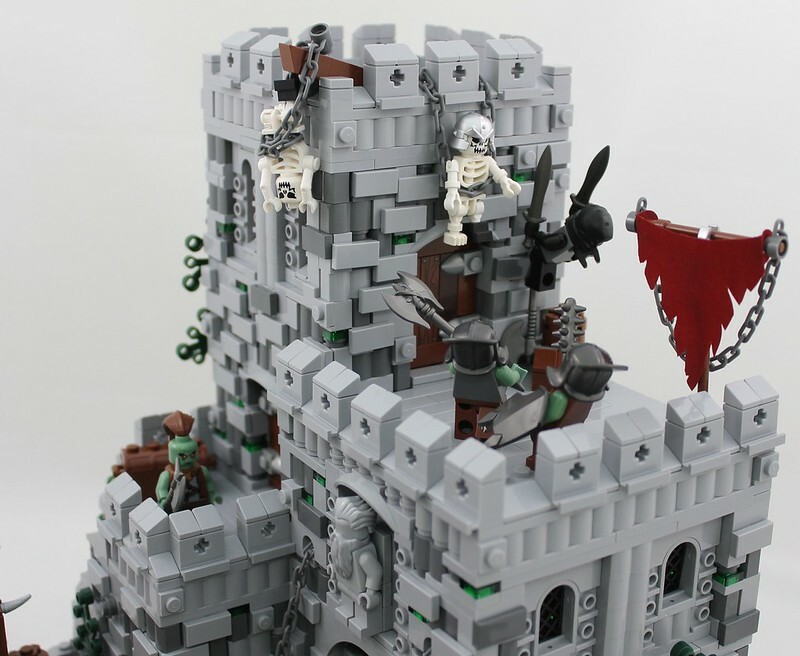 There are human bones and head about the grounds, and the adventurers cautiously approach the gate. Orc Guard: "Human! Meat!! Let's get them brothers and sisters!" Victor: "Now now, there's no need for anyone to get hurt! We simply want to move inside. 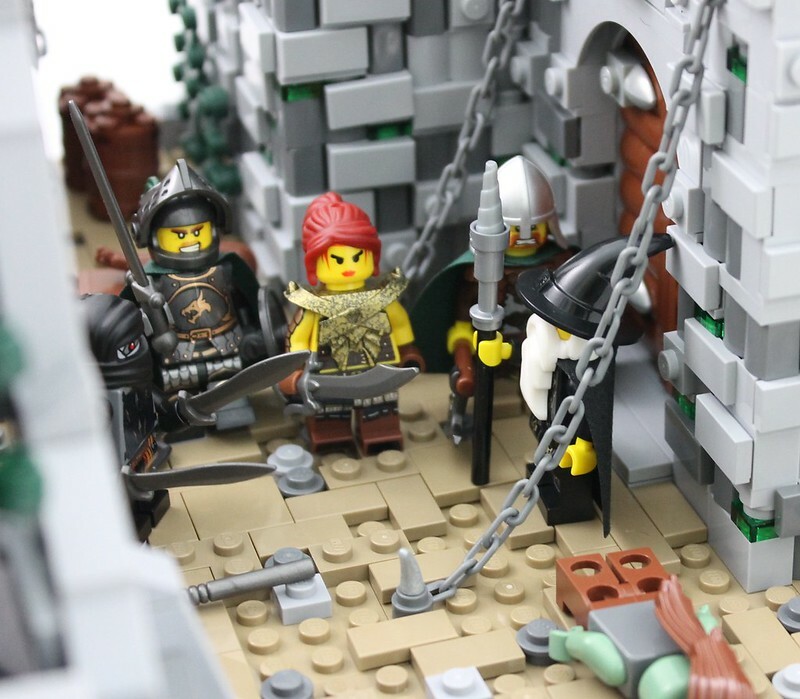 These four are excellent warriors, let us pass and there won't be any trouble!" Orc Guard: "Humans talk too much! Warggghh!Kill them!" Owain: "I guess we're doing this the hard way then?" Ragnar: "It's more fun this way! Yarghh!" Ragnar: "Take that, Yearghh, and that! You want some too? Yargh! Keep coming at me, I'll take you all on you worthless vermin!Kahzoul, you jumping monkey, get off your perch and join the fight!" Owain: "I guess that's how they teach you to fight in Nocturnus! AAAH!... By jumping around until the enemy gets dizzy and falls on his sword!" Kathyrin: "He's killing more than both of you combined you loud-mouth! Yahh! Stay down Victor, there are more of them coming!" Kahzoul: "That's the last of them! Yahhh!" 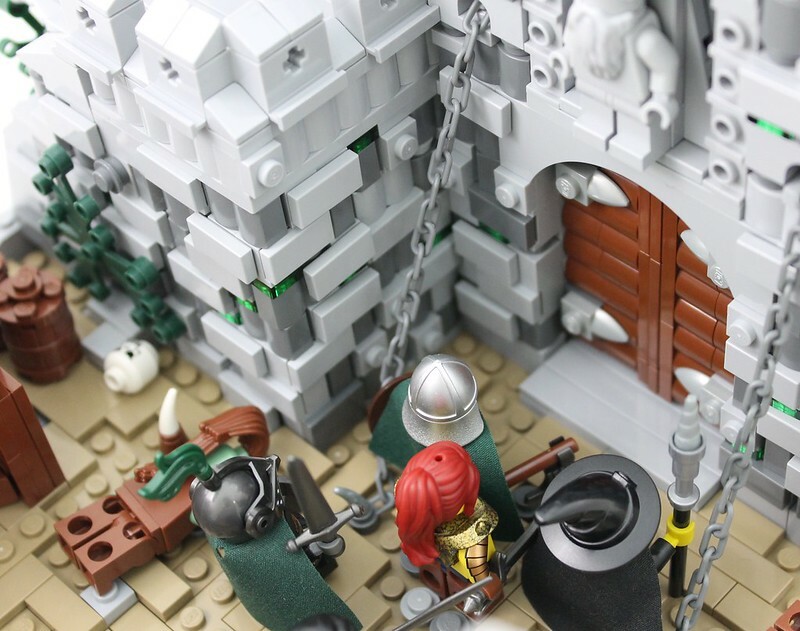 The adventures assemble in from of the fortress gate. Victor: "Oh my, that was almost too much for my old bones... So, here we are, the fortress of the Knights of Cadarn! The shrine entrance will be somewhere below the altar. Be weary; I feel strong magical forces at work here..."
Kathyrin: "We're ready for whatever comes our way Victor! Let's head in!" The group enters the fortress and quickly finds the abandoned altar. After several attempts to life the slab fail, Victor notices grooves in the stone in the shape of the Elemental crystals. Once the crystals are places, the slab sinks into the floor revealing a hidden stairwell. The group heads down. In the darkness of the underground, the smells of moist rocks and and fresh vegetation give the party a whiff of freshness. As they walk along a dark corridor an doorway appears; as if cut into the rock. Light illuminates the landscape on the other side, and the party of travelers head in. They arrive at an impressive sight; the Temple of the Druids. Victor: "Behold friends; the oldest shrine of its kind in existence! Look around! These floors and statues are thousands of years old! This place predates Historica!" Ragnar: "What on earth kind of temple is this? I haven't seen anything like it!" Victor: "It is a Shrine for the worship of Elemental magic! Look around; we are surrounded by the 4 elements; each has an altar on which the crystals should be placed." Kahzoul: "The brifge is out, we could swim but the water is turbulent; we'll never make it!" Victor: "Allow me." (he raises his staff and utters) "Mostikus!" Victor: "A cheap trick compared to the magic we'll find here. Off we go now let us cross!" Ragnar: "What are these eagle statues for?" Owain: "They look like the altars Victor mentioned; but how do we know what crystal goes where?" Victor: "You must think in terms of the elements; look here an Elder Wood tree; the symbol of the ancient earth. The earth Elemental crystal goes here!" Kathyrin: "There are stepping stones into the water there; it must be for the water element! The fire pits signify the fire element and Ragnar, if I'm not mistaking, that misty cauldron rock there symbolizes the air element!" Victor: "Excellent observations my dear! Can you reach the altars safely?" Ragnar: "Yes, be careful Kathyrin; that water is treacherous!" Victor: "Here we go, place the crystals on the altars and I will recite some ancient druid enchantments!" Victor: "Wonderful! Get ready now!" As Victor reads of ancient Druid chants, the floor of the cave trembles and an ancient trap door opens in the shrine revealing a glittering object. Ragnar: "What is it Victor? Treasure??" Victor picks it up, and walks to the edge of the water. Victor: "Oh it's better than that my lad, better than that! It's the helm of the Druid Head priest! The enchantments herein are more potent than any magic we possess! I've been looking for it all my life!" Owain: "Wait, you said you didn't know anything about what was kept in here!" Victor: "Ah, yes, I may not have been entirely honest you see; my true purpose in coming was to obtain this lovely artifact that the Knights of Cadarn wisely hid away from mankind so many centuries ago! You see, this artifact makes me the most powerful magic user in the world, and it is high time I got my way. I should thank you all, without you I would never have been able to find the crystals and get inside the Shrine! Now Historica is mine for the taking!" Ragnar: "Are you mad old man! We'll cut you down before you manage to raise an arm in defense!" Owain: "What on earth is going on! Stop it you old coot!" Ragnar: "It's pulling me in! I can't move!" Kahzoul: "Aaah the fire! He's pulling me into it! Stop him somebody do something!" Kathyrin: "Help! I'm gonna drown! It's pulling me towards the deep!" Victor: "Easy there my pretties, the more you struggle the worse it'll be! You're gonna be servants to my will!" The adventurers are pulled into the elemental altars and disappear. Victor: "Spirits can be seeded into these vessels! I am sorry my friends but you will be the host of these spirits! Each of you will become an elemental being under my command... The Drow are an annoyance, the real threat to Historica was right under your noses this whole time!And all I had to do was put on the guise of an old geezer! You High King is not safe, your Guilds are not safe! I will put events into action that will challenge Historica's very existence! Now, I summon you spirits of Elemental magic! Take on these souls and vessels! Serve me and destroy my enemies! I command you, OBEY!!!" Victor: "Rise! Rise and obey your master! By virtue of this Great Helm, I command you to do my bidding!" Victor: "The hour of the Black Mage Victor has arrived! 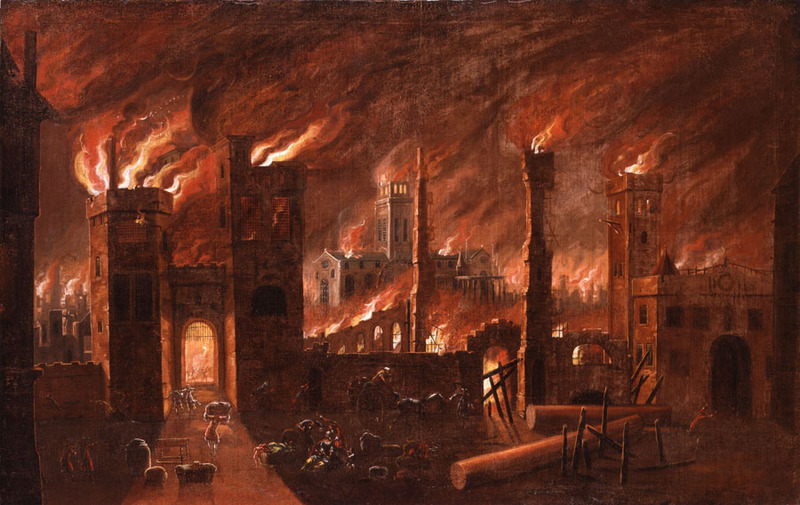 My elemental forces will reduce Historica to rubble! Doom is coming!!! After a long and glorious round, Challenge 3 came to a close with 33 amazing entrees from all guilds! Round 3 set the challenge level quite high, with interior builds, custom creatures, multiple scenes and story writing. We the guild leaders are very proud of the work done by our respective guilds, and want to thank all who participated in the challenge. There were only strong builders in this round of competition, and each one presented a unique, well-illustrated, well-told tale of adventures, treacherous monsters and hidden treasures! 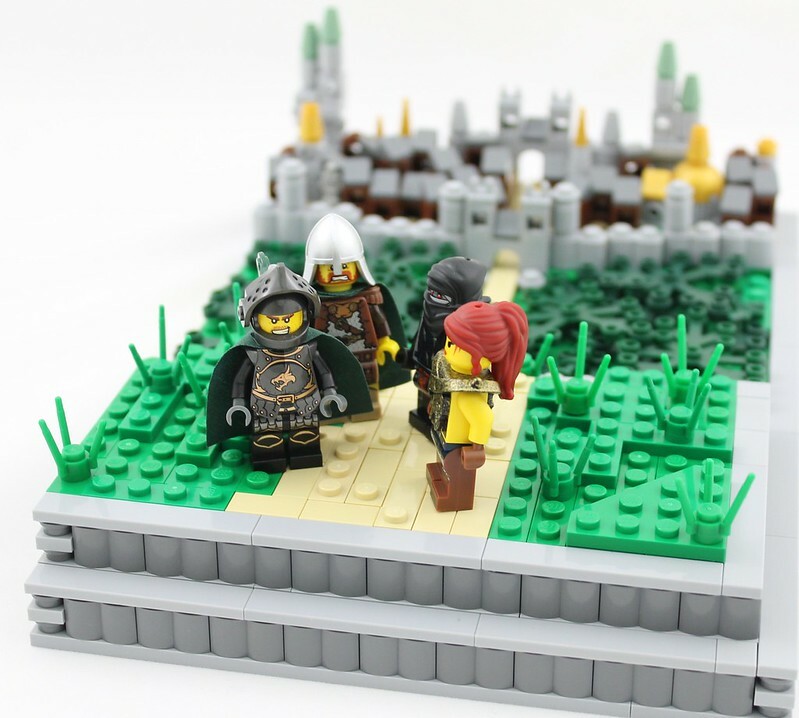 By a landslide popular vote, Cara has won herself a Kingdoms Joust set for her air temple MOC and story! Congratulations Cara, your build and story truly deserve the recognition your fellow AFOL's have given them! 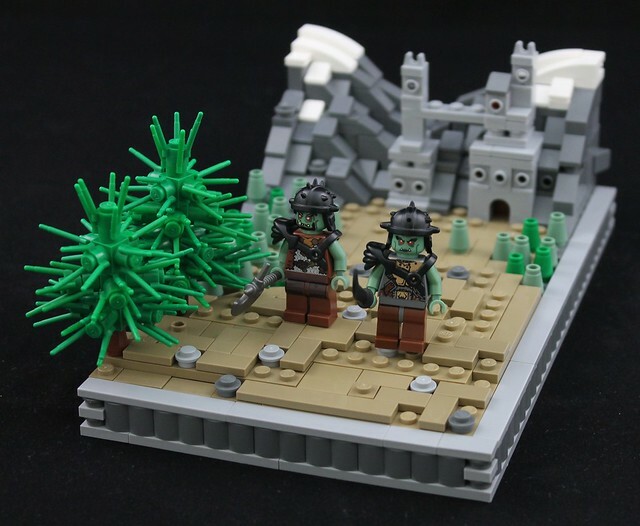 They have each won themselves an Exclusive Eurobricks Mountain Orc Minifigure! 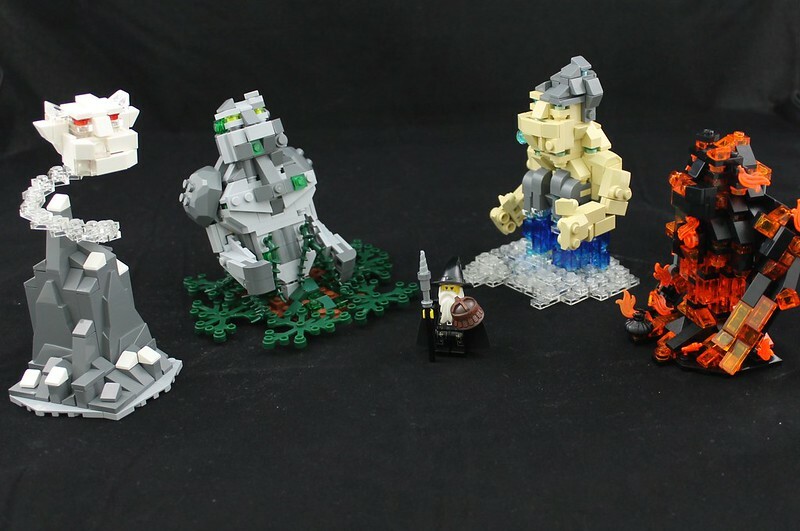 These figures were commissioned by us for winners of current and past rounds and feature custom head designs by EB's own Brickthing, printed in professional quality by our new friends at Citizen Brick, USA! 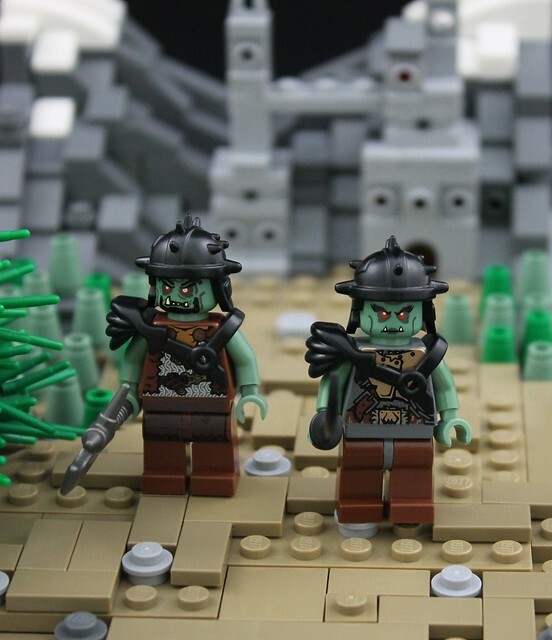 The weapons and Armor are courtesy of EB member Thrash and his company Brick Warriors, USA! Congratulations to the winners! We will be in contact with you about shipping the prizes soon! 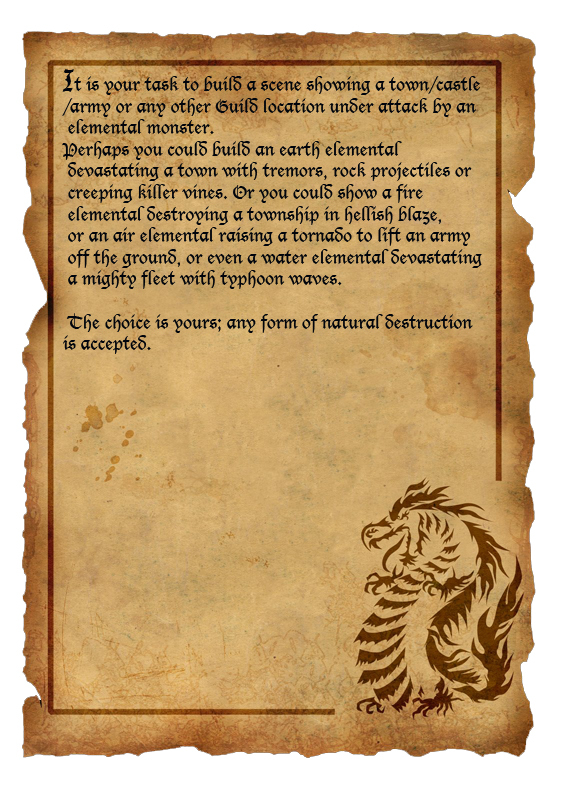 Challenge IV :" Elemental Mayhem"
•	Must be an action scene that shows elemental destruction including an elemental monster of your own design. •	You may choose any elemental not just the one that spawned from your own Guild's element. •	Size is limited to 48X48, with reasonable overhang. 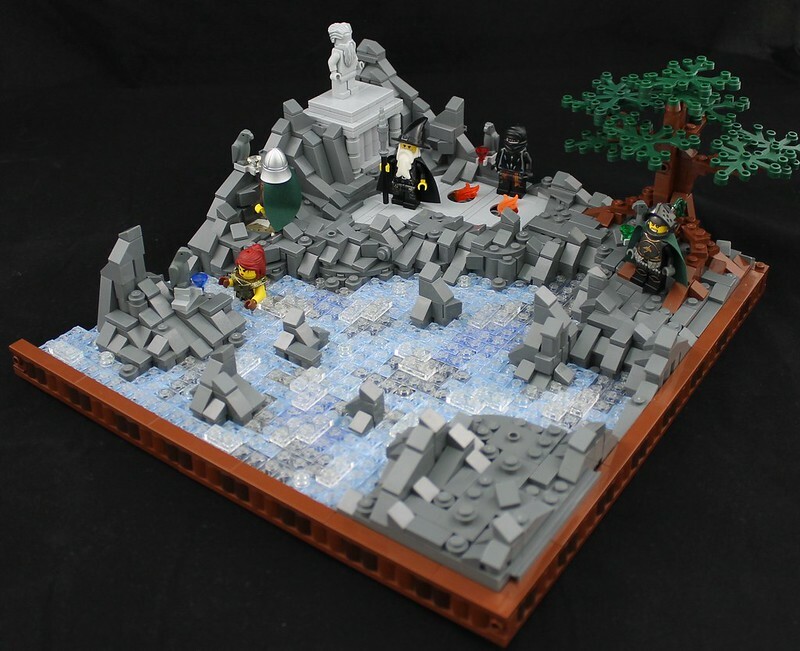 •	In the background of your build you must include a micro-scale landscape, be it mountains, forests, oceans, cities or any other form of terrain. We look forward to what you the builders can come up with for this challenging round, and hope that you have fun with it! And so it was that the great Elemental Plague washed over Historica from border to border. From the frozen plains of Mitgardia, to the lush forests of Avalonia, all the way to the sandy expanses of Kaliphlin, and the boiling volcanoes of Nocturnus, great elemental monsters devoured villages and towns, forcing the citizens of Historica to flee by the thousands. Only the great capitals and largest cities continue to hold out against the elemental threat. While the monsters at his command decimate the landscape, Victor Revolword plots the overthrow of Historica’s Capital Cerdica. 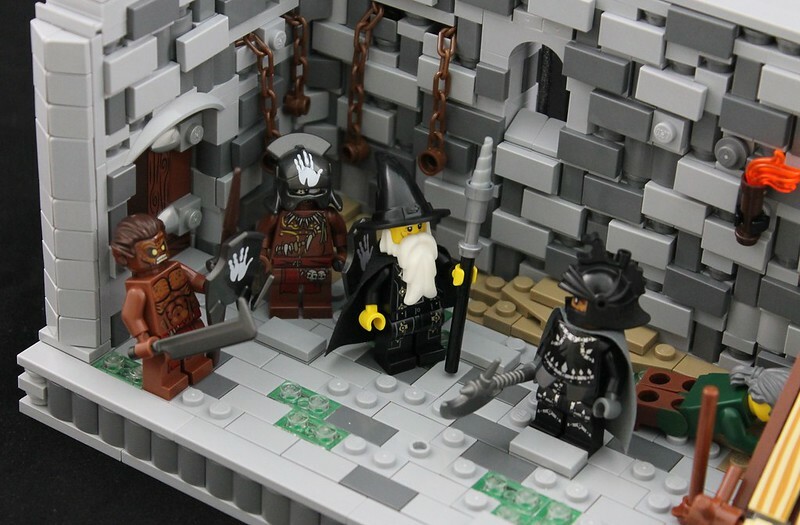 In a dungeon not far from the High King’s mighty city, a well-dressed gentleman fears for his life. He is a servant to the High King; one of a myriad of fateful lackeys sworn to his majesty’s service, who finds himself in a dire situation. 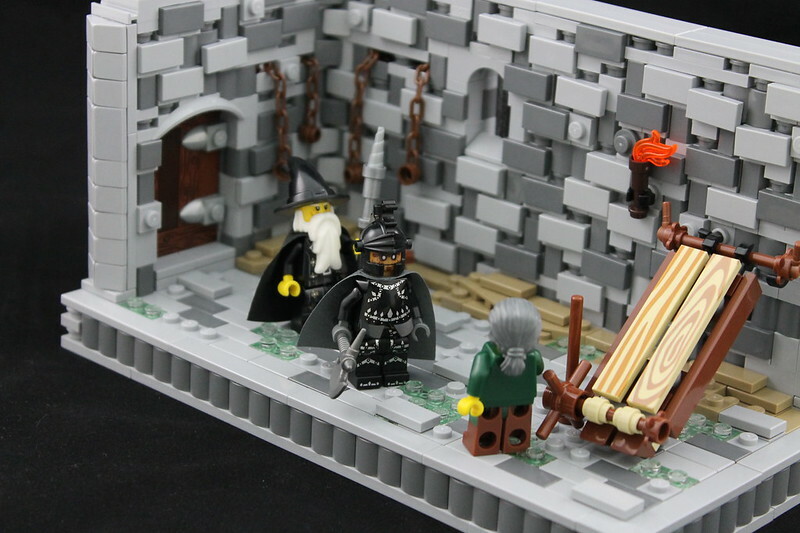 The door to the small dungeon room opens and the black wizard himself steps through. A tall, intimidating character steps through the door. He is armored from head to toe, and yields a mighty war ax. His face is blistered over and muddy, his eyes a piercing shade of blue. He walks in, bows, and stares down the terrified servant. 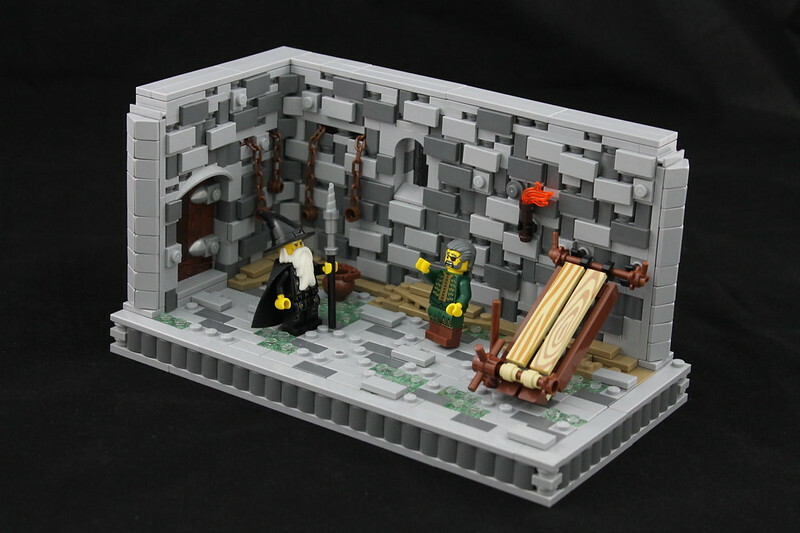 Victor leaves the dungeon cell, and closes the door shut behind him. After a few minutes of horrific screams and sounds of struggle, Rellik opens the door and flashes a rotten grin to his master. Victor nods, and walks in along with blistered creatures who carry the mark of the “Hand of Corruption” on their armor and shields. The servant lies on the ground, bloodied, weeping and clutching at his side. 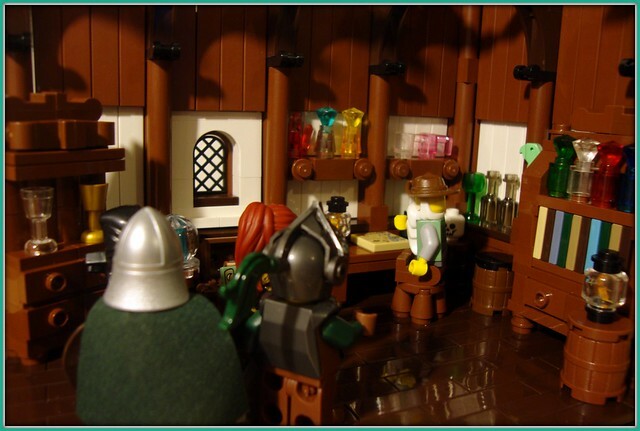 Meanwhile in the Mitgardian capital of Valholl an old Norse warrior steps through the threshold of a well-lit library room. He looks preoccupied, and the haste in his step suggests purpose and timeliness. 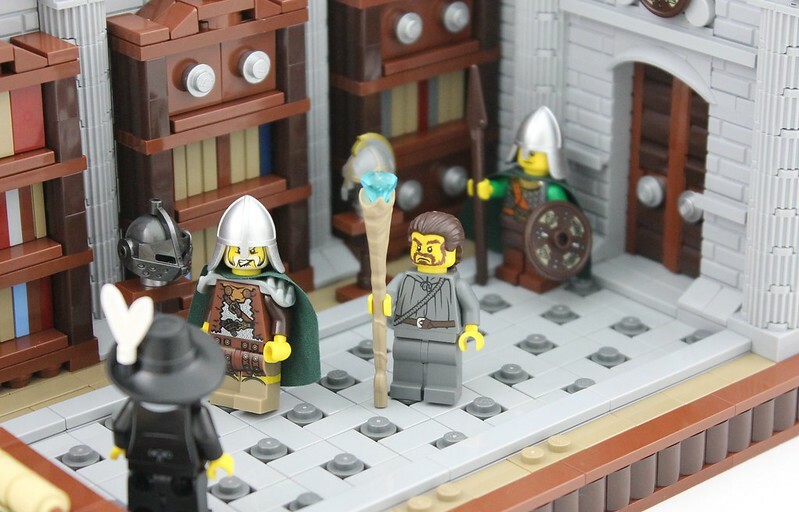 A man dressed in a grey tunic, yielding a magic staff, stands up in the opposite corner of the library. He puts the book he has been reading down, and walks towards the Jarl and the Hersir. Jarl Nibelung: “There is unfortunately a complication. Victor has not been seen since the attacks started. Without knowing where he is, we have no way of stopping him. While we can hold back the elementals, he too can summon them without end. We risk turning all of Historica into a permanent magical battlefield, the consequence of which will be severe for generations to come! Worse yet; I’ve heard news from our friends in Avalonia; they say regiments of the “Hand of Corruption” roam their countryside, abducting young men, forcing them to join the ranks of Victor’s corrupt forces. 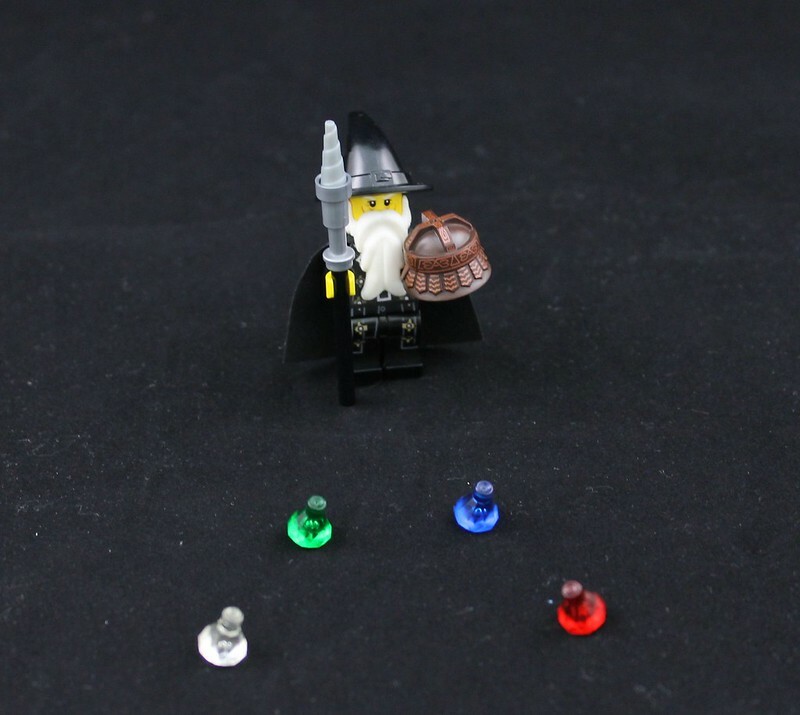 It seems that the wizard is planning something big. In the High King’s summer palace, the royal steward is frustrated. After calling on the servants several times, not a single response has come from his majesty’s kitchens. As the Steward raises his voice in annoyance, he suddenly falls silent. Instead of the neatly dressed royal staff he commands, a raggedy group of repulsive creatures storm into the chamber. 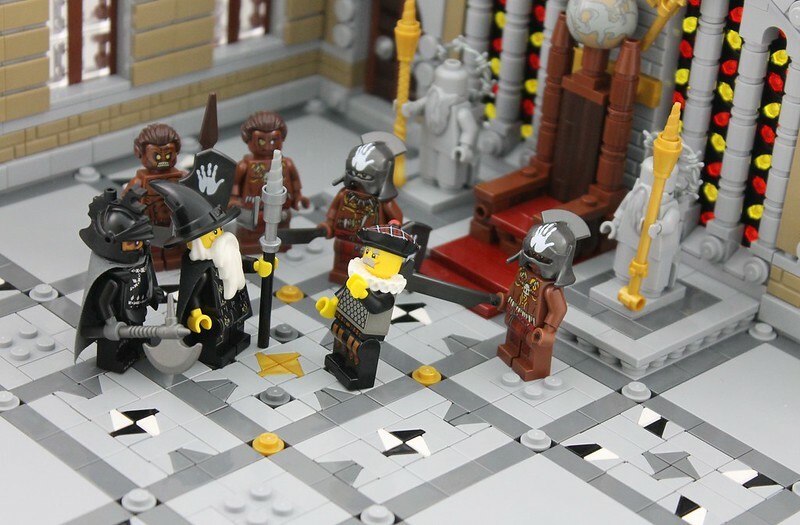 The steward is taken aback by their ghastly appearance, and he stumbles backwards as they approach him. Victor sits on the throne. Victor: "The reign of the High King is coming to an end and my glorious reign is beginning. 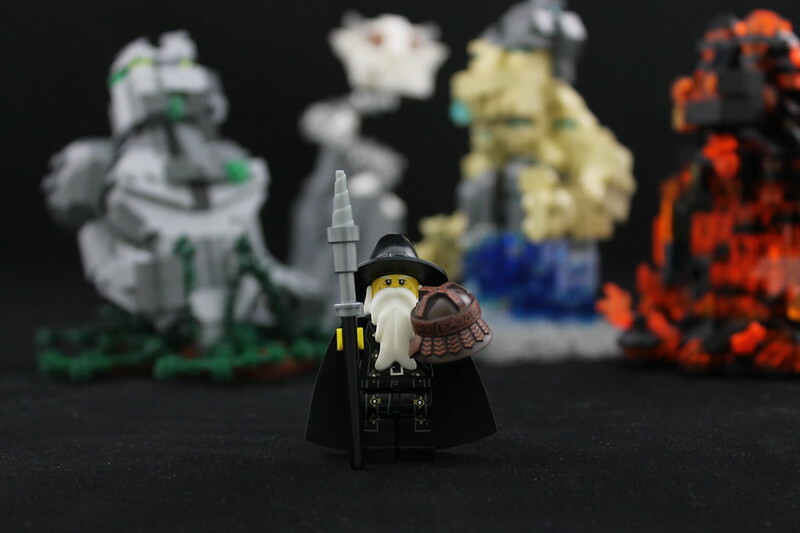 Soon, Victor the Black Wizard will rule all of Historica, and all will bow down before him." "And so it was that the land of Historica fell into darkness. The elemental monsters summoned by Victor Revolword tarnished the land, banishing Historica’s people all across the Kingdom. 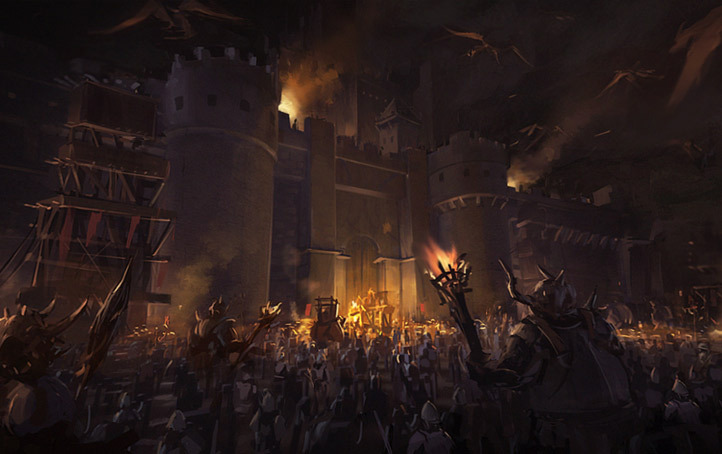 As countless refugees sought shelter form the elements, the dark forces of the “Hand of Corruption” pillaged the land, abducting guildsmen and forcing them into service of the black mage’s ever-growing army. From these times of hardship rose countless brave Historicans who swore to avenge their homes and loved ones, and bring the rule of Victor Revolword to an end. Directed by the insight of an ancient order of wizards, the displaced guildsmen soon learned of the magical power of ancient sites. Shrines and temples, mystic groves and ancient ruins, Dwarven mines and all manner of caves and crevices were long ago endowed and saturated with an arcane type of magic, deadly to elementals. As Historica’s people make their way to these ancient, mystic sites new hope overcomes the gloom of desperation. The heroes of the Guilds assemble in their mystic sanctums, and gather strength for a final push against the usurper and his minions." Build a refugee or war camp located within an ancient mystic location. 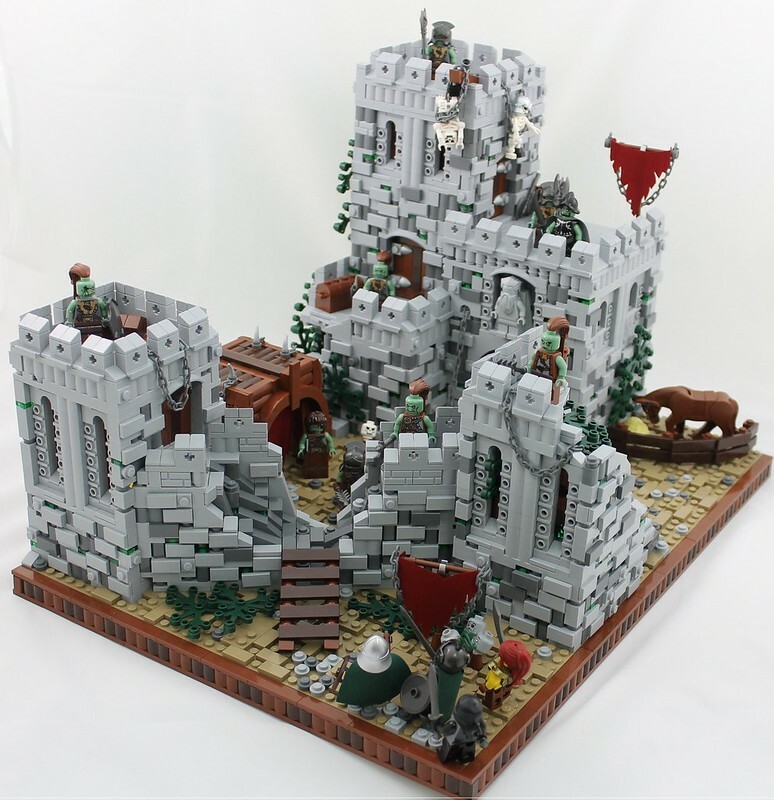 The build should show the temporary buildings of you Guild’s warriors and contain scenes from their daily activities within these camps, but the core of the MOC should represent an impressive ancient location. 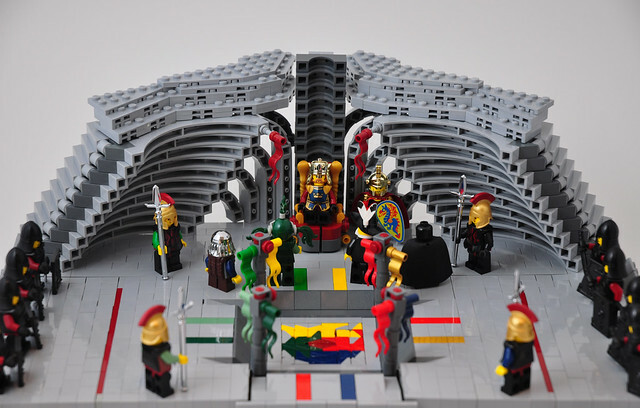 (See list of suggestions below) The MOC must create a clear dichotomy between the “old” architecture and materials which have been present for hundreds to thousands of years, and the “New” temporary architecture built hastily in times of war. 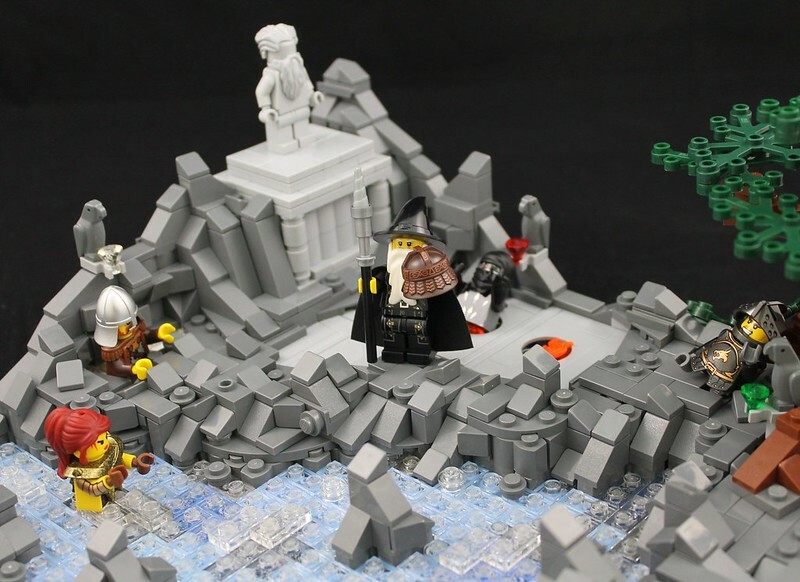 •	MOC must be based around an ancient mystic location. Suggestions include: shrines, caves, burial chambers, Elven forests, dwarven ruins, abandoned castles, mystic forests/clearings/waterfalls, occult locations, and any other fantasy locales you can think of and create. They must feel unique and have a specific style. (A barren field, or a regular forest are not enough) The scene may be an exterior, or an interior; the choice is yours. •	MOC’s must contain the war camp with distinctive architecture which should believably look hastily built. (Not poorly; designing this part is just as important as the mystic part of the build)If building in an interior such as a dwarven ruin or cave, the camp does not have to include full buildings, but there must be guild-made structures and additions within. •	The camp should show signs of daily activity and life within the camp, and may include any number of following sub locations. 3)Prison with captured “Corrupt Hand” forces. 7)	A location belonging to the original structure to add to the lore. (Ex. Within a mine, perhaps a mining gallery, or within a mystic forest an area of flowers/animals. 8)	A workshop for construction of siege weapons. •	Size will be set to a minimum of 32X32 and a maximum of 52X52. Winners were announced for Challenge 4, but not in the big thread here! Also, where is the current gold total Well a little update for you all! With their strength regained from exile in the mystical locations, the heroes of the Guilds of Historica look to strike at the Usurper and regain control of the kingdom. The four guild leaders send word to their lieutenants to marshal their forces for an assault on the Evil wizard’s castle! Write the final chapter in the Revolword saga! This is your land, and now you control the story. Score points for your guild to achieve ultimate victory and have a chance for your version of events to become the lore of the land! -Deadline for story submissions is March 31, 2013. -Finish the Revolword saga by writing a story that incorporates at least three different builds. -None of the builds may individually exceed 2,304 stud base area (48 x 48 if base is square) with reasonable overhang. -At least 1 build must be an interior. -If more than 3 builds are used in your story, only three builds will be scored. -Though the story may be enhanced with “photoshopped” effects. If such effects are used, you must also provide an image of the build without the photoshopped effects for "build quality" scoring purposes. Modifying the background to a solid color is NOT considered a photoshopped effect for this purpose. -After the close of the competition period, a vote will commence to decide which entry will represent the official lore of the Guilds of Historica! Only members of the Guilds of Historica will be allowed to particiapte in this vote. We have prizes and tags, and we aren't afraid to use them! So what are you waiting for? Judgement day is upon us! Good news to all those working hard on Challenge 6 entries, we have decided to extend the deadline till April 30 (somewhere in the world), so keep going guys we want the best entries possible!